This Valentine's Day forget the chocolates and flowers. Save a life by sending a one-of-a-kind PAWSitively Loveable card. 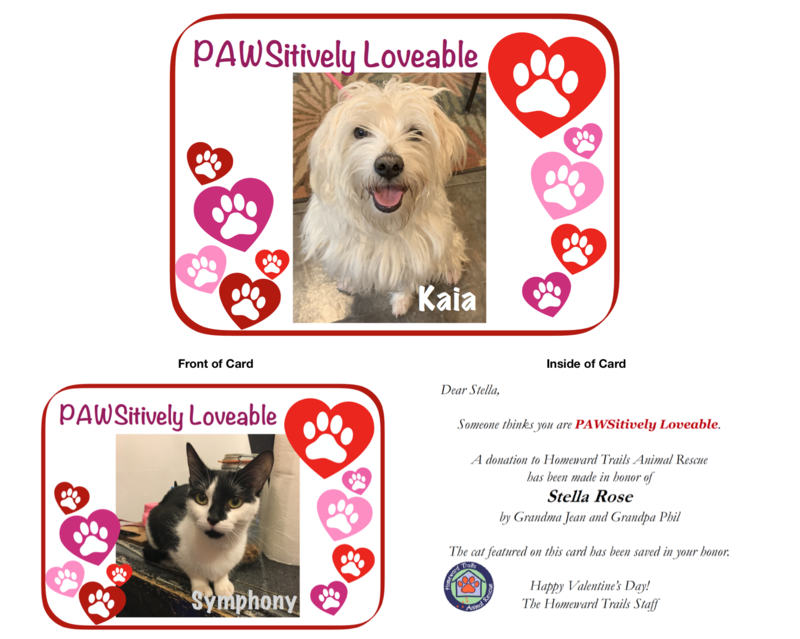 For a donation of $50 or more, Homeward Trails will send a personalized PAWSitively Loveable card to the person of your choice informing them of your thoughtful gift. This special card will feature your choice of dog or cat, letting your loveable someone know that a gift in their honor saved a life. You can also include your own personalized message. This unique Valenteine's Day gift is purr-fect to send to a friend, pet sitter, neighbor, boss, loved one - any animal lover really! 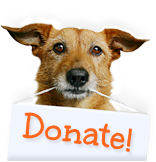 Not only will it help animals, it is tax-deductible too. Simply complete the donation form below. Don't forget to click "In Honor of" to provide the name and address of your gift recipient and add your personal message. 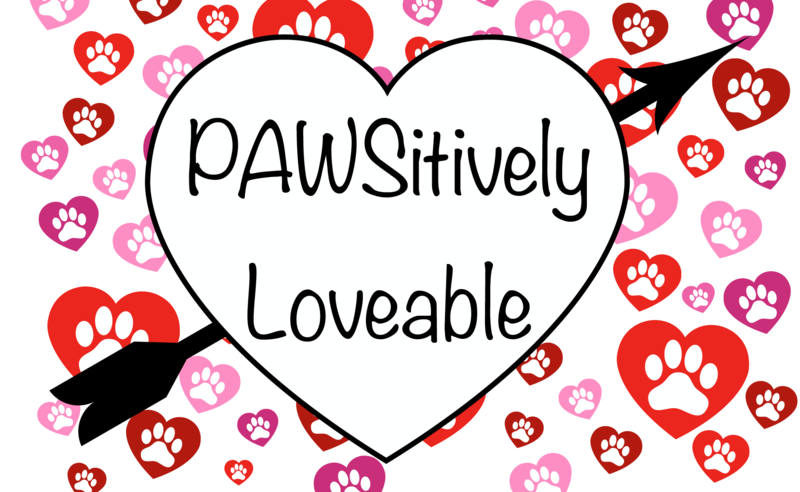 All PAWSitively Loveable cards must be ordered by Monday, February 11th, and will be mailed just prior to February 14th, ensuring this special surprise arrives as close as possible to Valentine's Day. Thank you for supporting the PAWSitively Loveable animals of Homeward Trails! Click here to provide the name and address of your recipient and add your personal message. Where should we send the acknowledgement? Who is being honored by this gift?